For inquiries on guided fishing trips either aboard my 18′ Center console or your own vessel, email James at norwalkislandsfishing@gmail.com, or give me a call at 203-858-4324. I can accommodate 2-3 anglers on my boat, a 1989 18 foot Aquasport center console equipped with top of the line electronics, a repowered 2016 Mercury 4 stroke engine, and Minn Kota trolling motor. 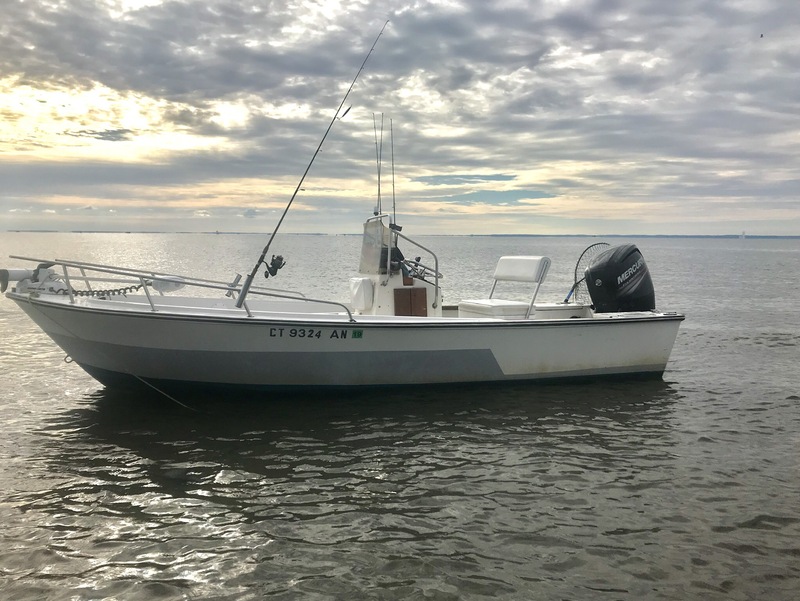 Equipped with a 13 degree deadrise, a very shallow draft and a trolling motor, this boat allows me to get to the fish in often-rough water, silently approach fish, cover structure efficiently, and lock into fish once I find them.